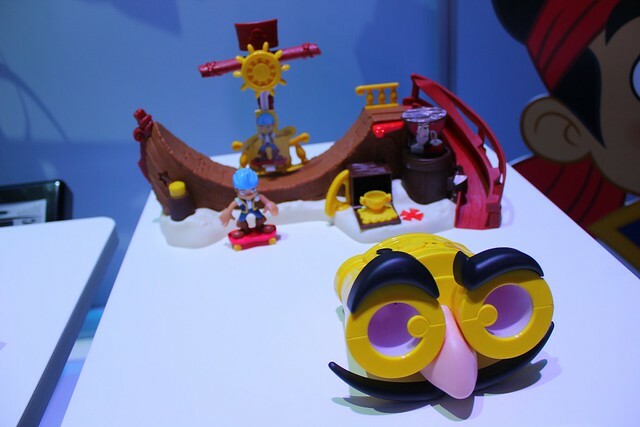 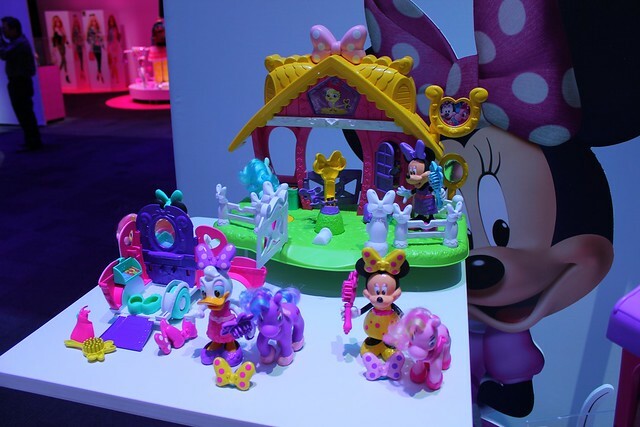 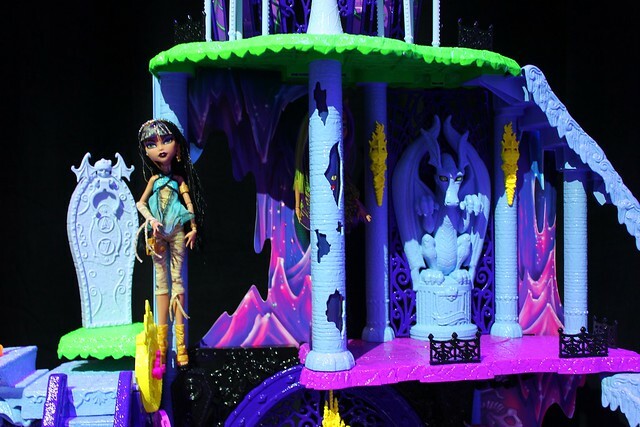 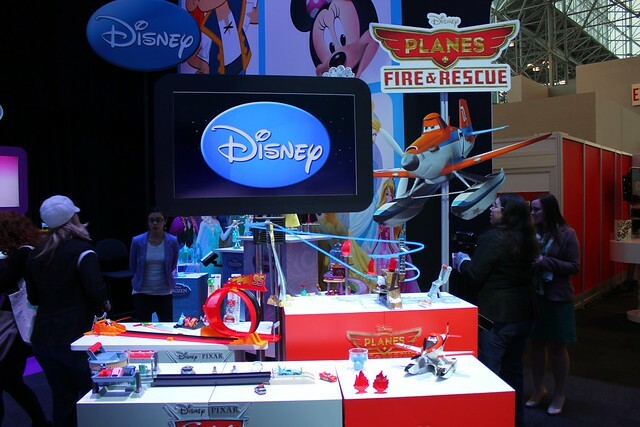 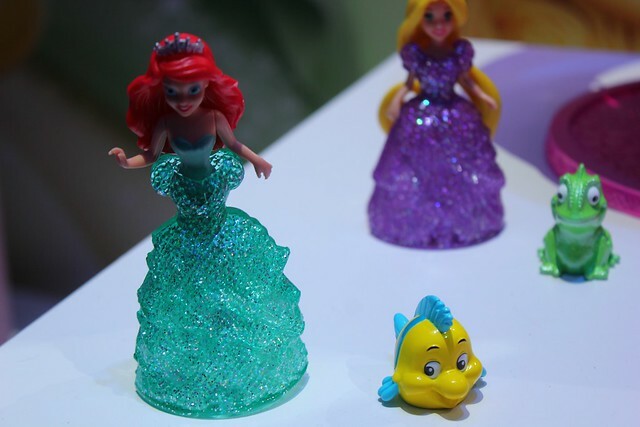 Among the biggest companies displaying at Toy Fair 2014 was Mattel, featuring new and upcoming products from franchises including Disney, Monster High, Batman, and Marvel – a new addition to their licensed lineup. 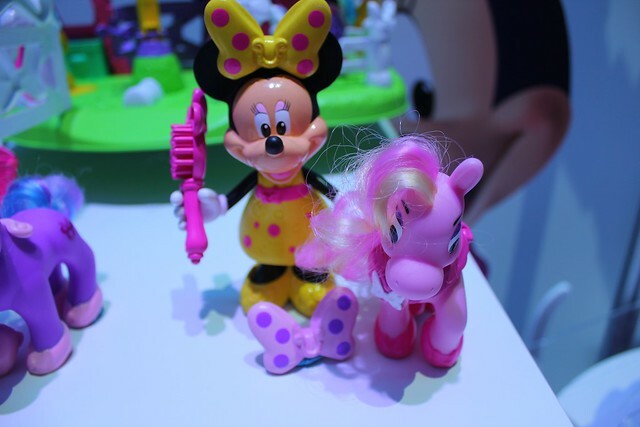 Not only is Mattel one of the largest toy makers at Toy Fair, they’re also one of the most secretive. 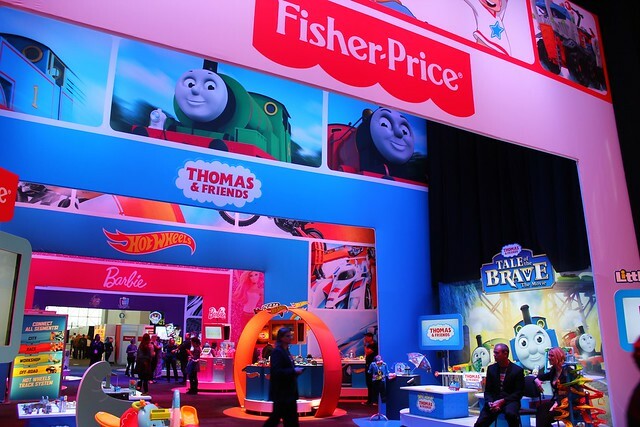 With a massive pavilion secured behind a guarded entrance on their own floor of the convention center, only approved attendees can look at the Mattel displays. 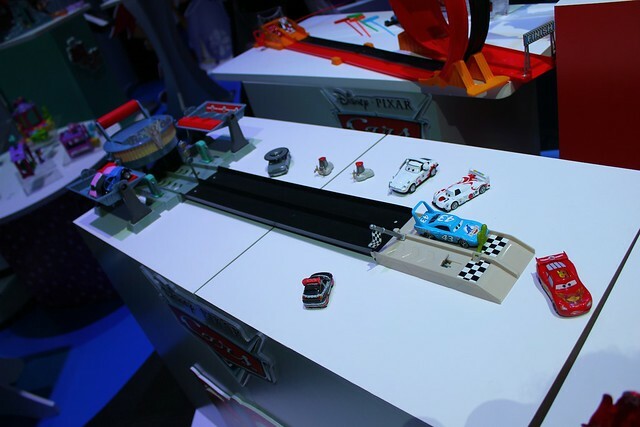 And even then, several areas are off limits to the press, presented exclusively for retail buyers to preview (and purchase) products and prototypes that could be more than a year away from the marketplace. 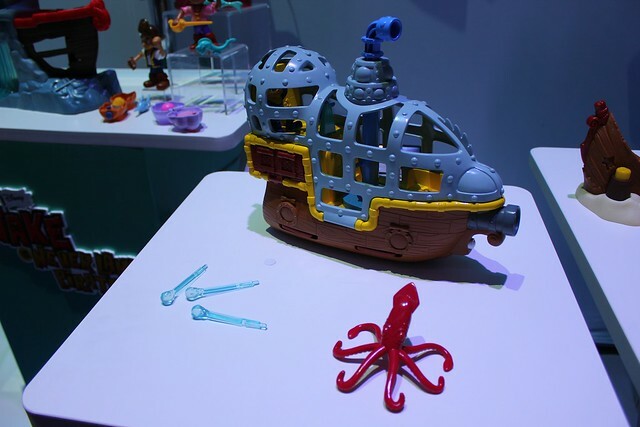 Below are highlights from the press-approved part of the pavilion, a colorful showcase filled with products spanning merchandise for boys, girls, and adult collectors. 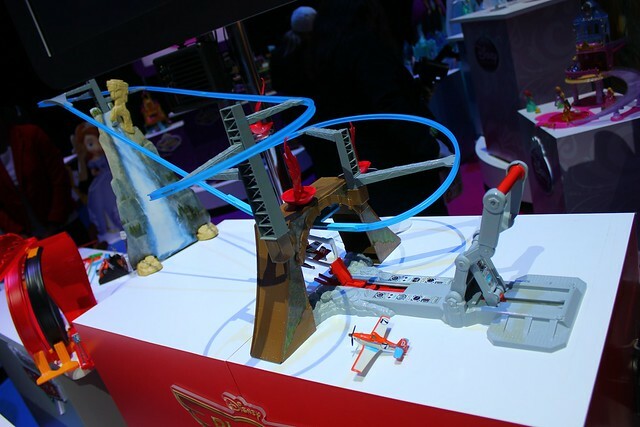 Fisher-Price also debuted a Little People play set themed to Disneyland. 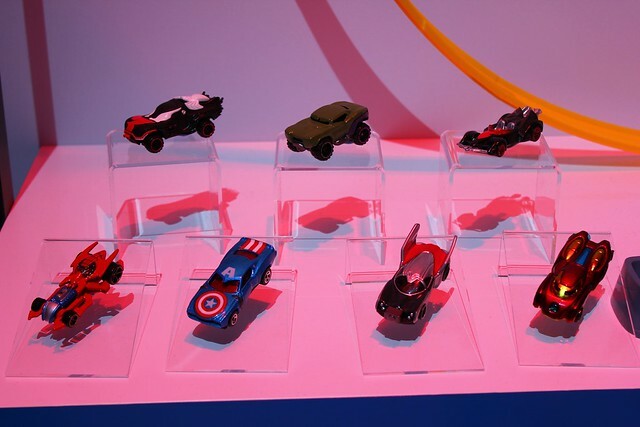 Though Mattel has worked with DC Comics for many years (more on their products below), this year marks the first time Marvel licensed products have made their way to the Mattel brand as well, all beginning with a series of die-cast Hot Wheels vehicles themed to characters like the Guardians of the Galaxy, Avengers, and more. 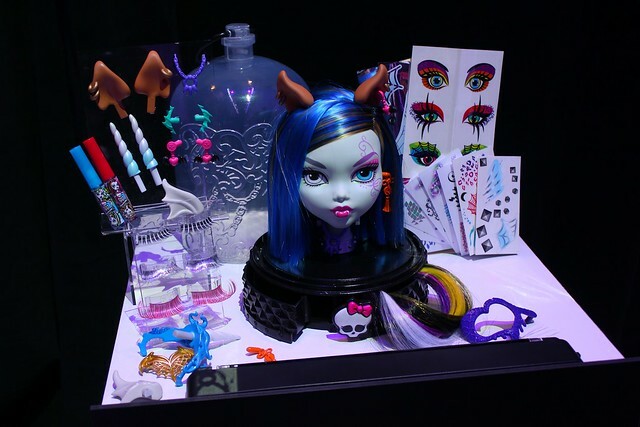 One of Mattel’s biggest toy lines, Monster High is continuing to grow with plenty of new products on display at Toy Fair. 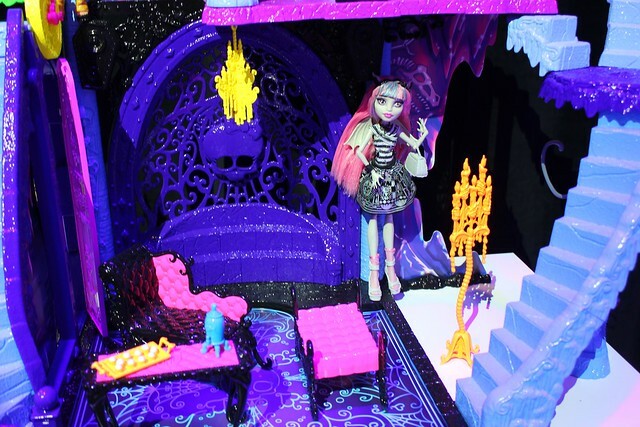 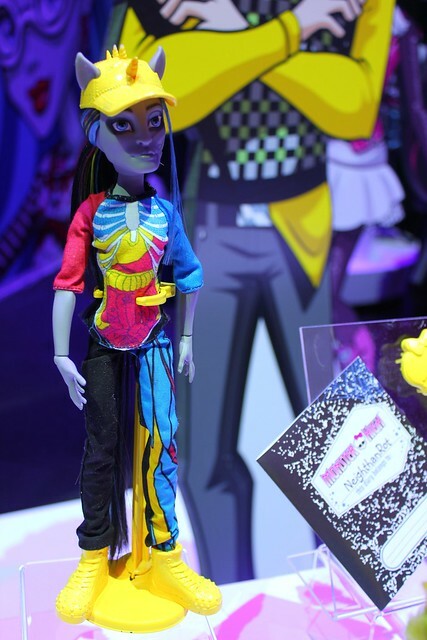 A new catacombs play set offers a variety of ways for Monster High dolls to be displayed while the upcoming “Freaky Fusion” line of dolls mashes up various characters. 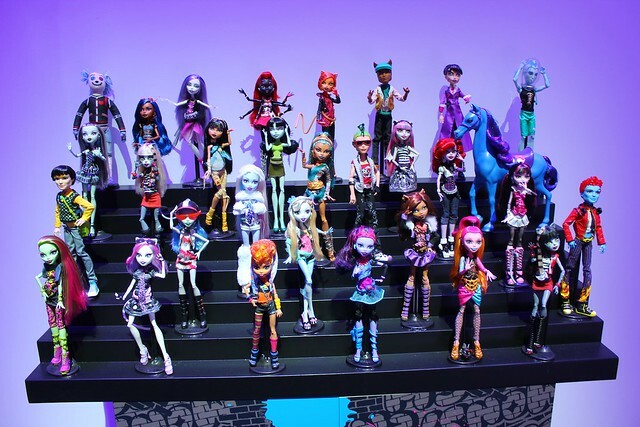 Also upcoming is the “Inner Monster” series allowing customization of dolls including changeable eyes and innards. 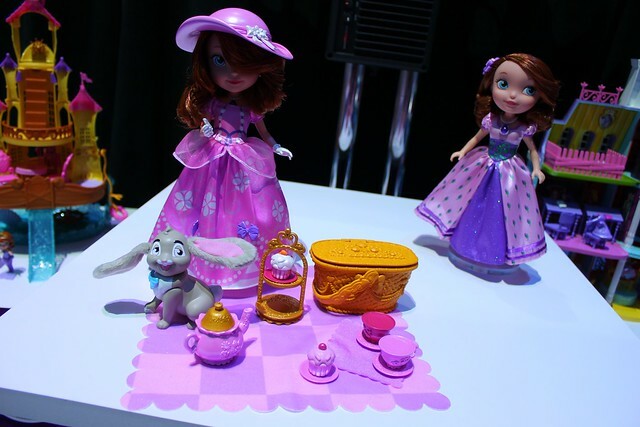 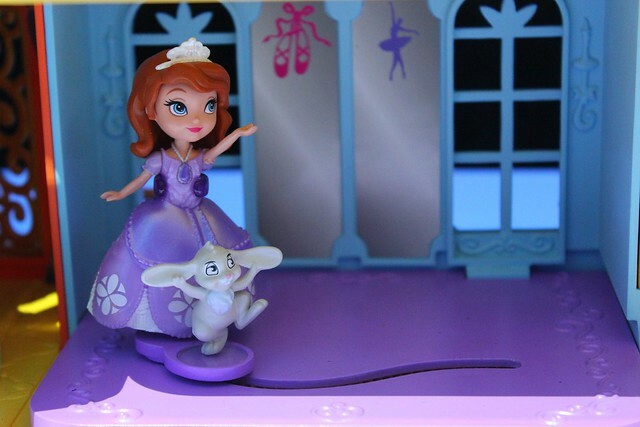 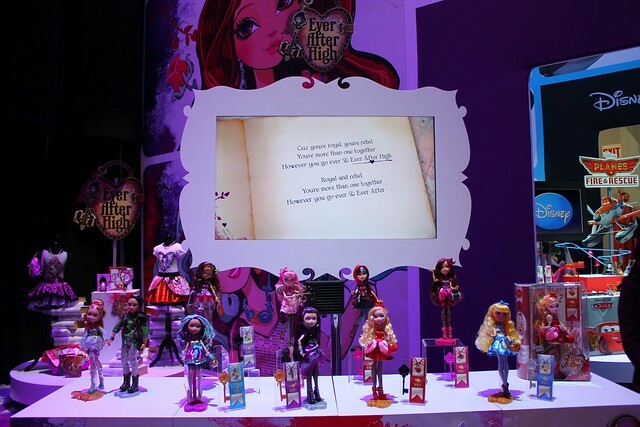 The related doll line Ever After High also revealed new and upcoming merchandise at Toy Fair. 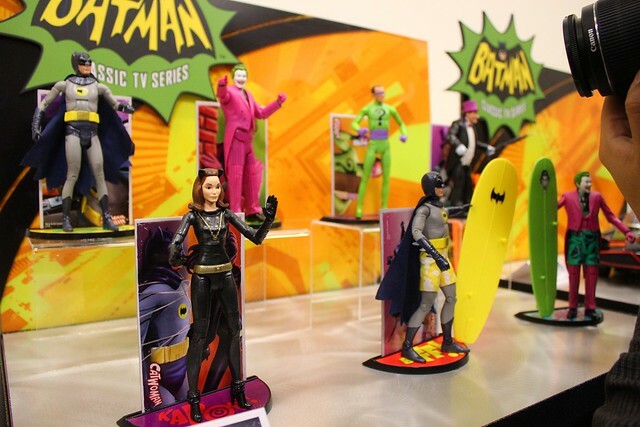 Batman is bigger than ever as Mattel, and their adult-oriented sub-brand Matty Collector, produces new action figures ranging from the old “Batman” TV show to Tim Burton’s films to the more recent ones starring Christian Bale. 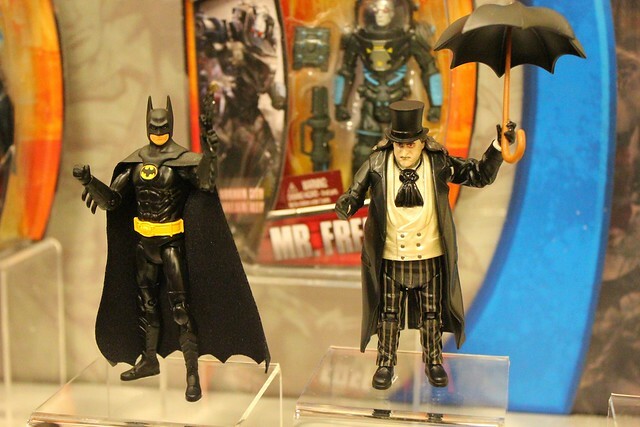 It’s the first time many of these likenesses have been approved for action figures, including Michael Keaton as Batman, Danny Devito as Penguin, and Michelle Pfeiffer as Catwoman. 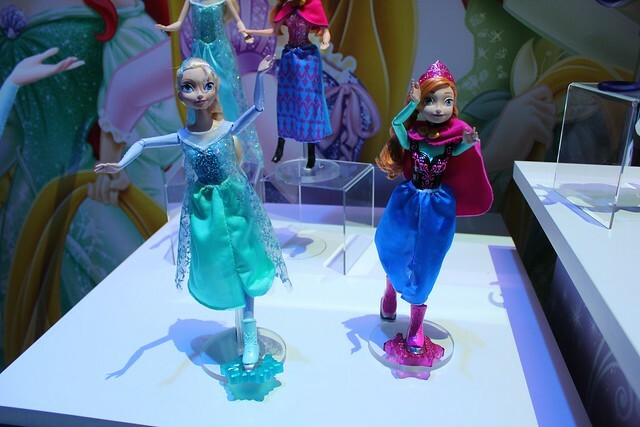 Also included are new figures of Christopher Reeve as Superman. 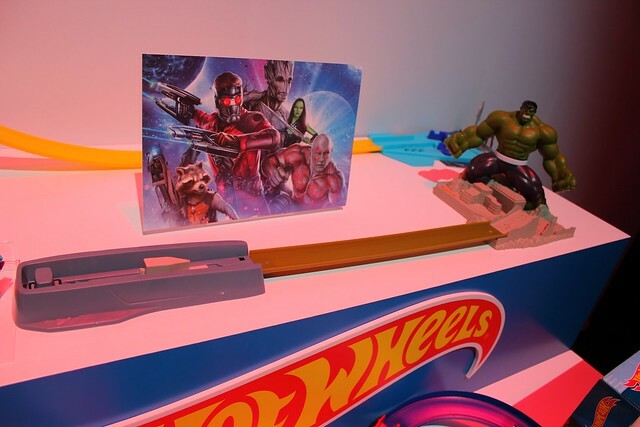 More products Mattel showed off included a new Back to the Future DeLorean time machine die-cast vehicle, more Masters of the Universe collectibles, Barbie, and Thomas the Tank Engine.